I usually dress with the weather and so today’s forecast.. grey grey grey GREY!!! Voila I am dressed head to toe in grey! 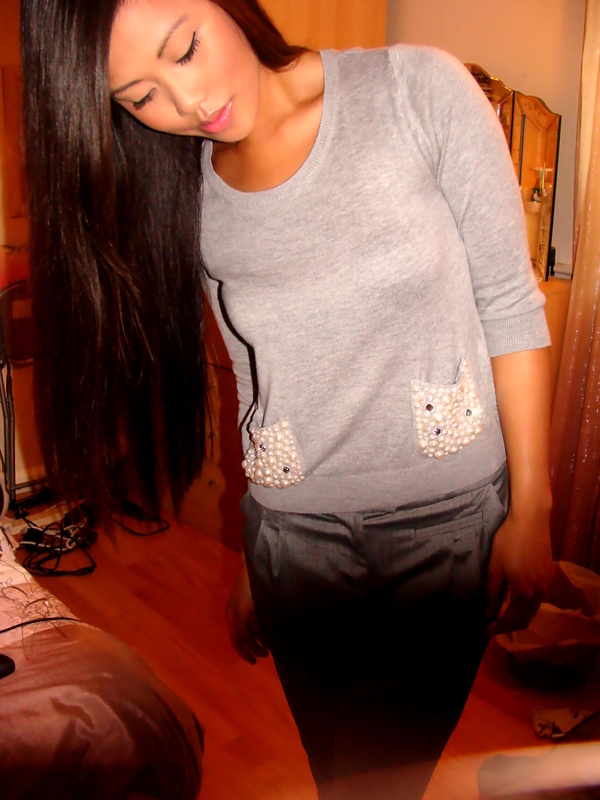 Embellished GREY jumper by H&M. GREY trousers by Topshop! Then I looked at this photo and oh my I look like I am about to go out in my pajamas! …Think I will put on my black suit jacket just to break it up a bit!